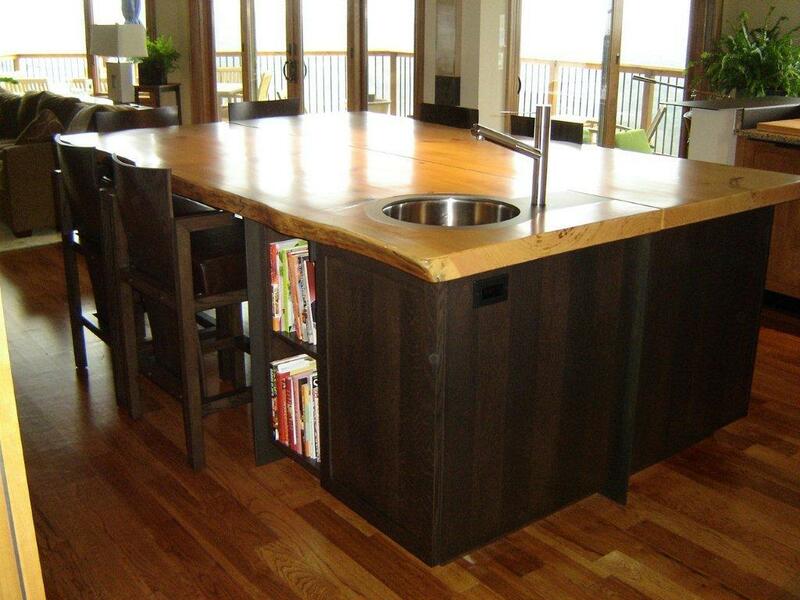 This kitchen island is made up of a book matched white pine slab top with steel inlay sink connecting to steel center spline. We created a steel base with white oak cabinet drawers. We built the matching handmade white oak chairs. We created a unique patina on the steel by sand blasting.